We will attend the coming 2011 Hong Kong International Lighting Fair(Autumn Edition)(http://www.hktdc.com/fair/hklightingfairse-en/) in Hong Kong Convention and Exhibition Center from October 27, 2011 to October 30, 2011. Our booth NO. is Hall 5 5C 35A & 37A. An exciting opportunity to see our latest catalogue and innovative new products. This year we have announced many different potential items including Special Patent Pending design 360 degree Spirit-3W and High power UFO pendant, besides we also have announced a series of High Power Single lens LED lighting fixture, which make the light performance “just like an halogen". Sincerely welcome you and your colleague to join this show with us. 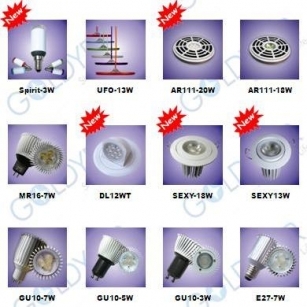 ← New Product Spirit-3W LED is launched !! !